If you have been the victim of a hit-and-run accident, there are three main points you should be aware of in order to bring a claim. First, please seek the appropriate medical treatment for your injuries. Once you’ve received medical care for your injuries; report the accident to both your insurance company and law enforcement. If law enforcement will not come out to see you, go to them and file a counter report. These are necessary steps, and following them creates documentation regarding the accident and impact between the two vehicles. It also documents the fact that the other party fled the scene. 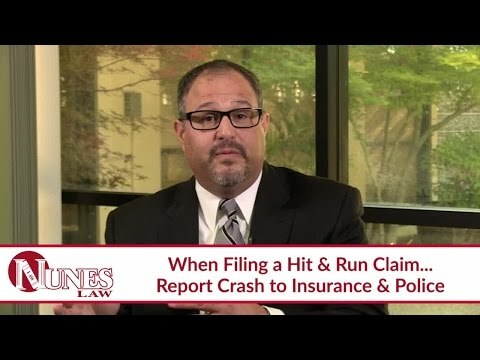 If you have additional questions regarding a bringing a hit and run claim, I want you to call me at (559) 436-0850. I welcome your call. Visit our educational website at www.NunesLaw.com, where you can view more videos and media content from our law firm.